Monkey candy mold coordinates with monkey shaped baking pan and other jungle themed party accessories. More fun shapes and greater detail make Wilton Candy Molds the world´s favorite way to create candy. Look at the variety! You can do it all, from exciting kids´ party treats to elegant wedding and shower favors. 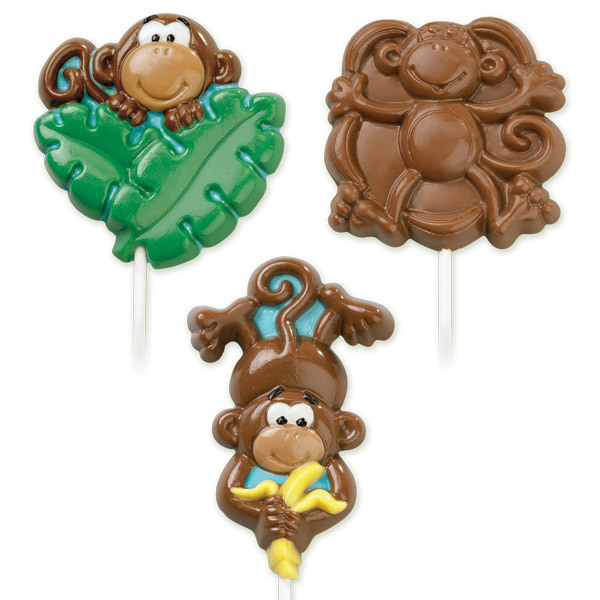 Molding and coloring couldn’t be easier when you use Candy Melts®*. Look for terrific design ideas and molding instructions on every mold package.